Instead of going to bed on time last night I made this printable pi poster for the classroom! 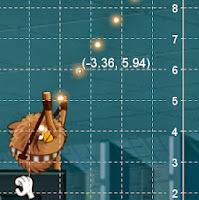 This is just the first few digits, so you probably won't find Your Life in Pi, but it has other uses. Click for the 4-page pdf. Here's a single-page version of the above. Lovely. Thank you for sharing. 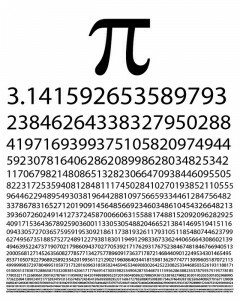 I will use this poster in my post about pi later. That's true, it's cut in half. It's a 4-page printout with enough overlap to allow you to glue it seamlessly - should I make a 1-page version? It works fine, print them and then paste/tape them together. Thanks for the post! Thanks for the poster. Very cool thing to have for pi day next year.